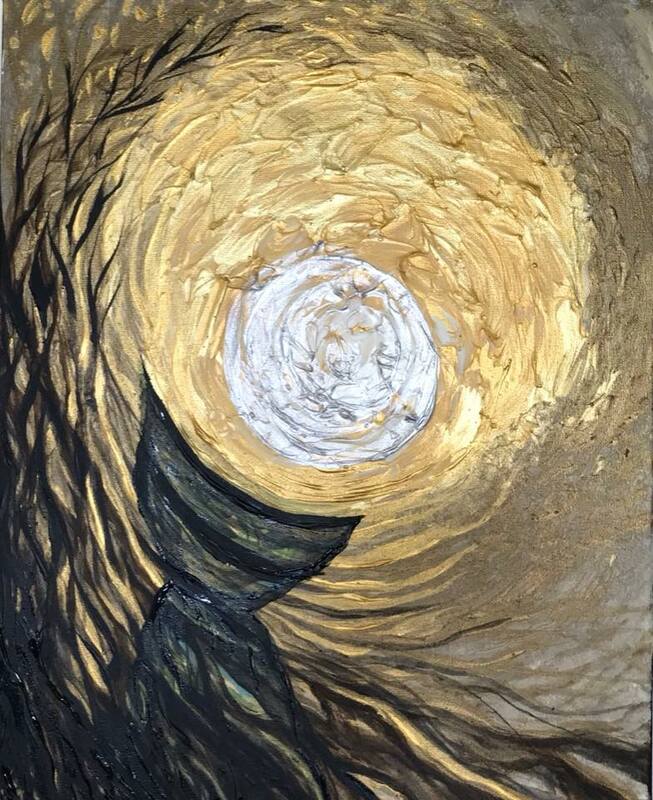 16″x20″ acrylic on stretched canvas, this is a gold, pearlescent white, bronze, & black textured abstract latte stone in the moonlight, an iconic symbol of Guam and the Mariana Islands. The latte stone represents strength, as it is the foundations for which ancient Chamorro houses were built upon. To purchase or inquire about pricing, please email info@creativeindeed.net or call (671)777-1284 or send a message on the Contact page.